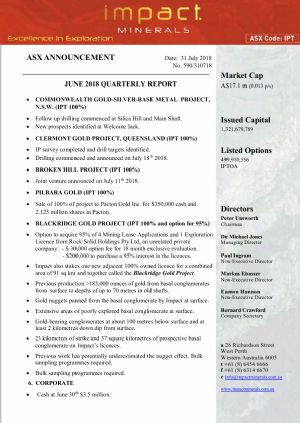 A first pass programme of bulk samples weighing about 8.5 tonnes in total has been collected from Impact Minerals Limited (ASX:IPT) (OTCMKTS:IPPTF) Blackridge conglomerate-hosted gold project located about 30 km north of Clermont in central Queensland. 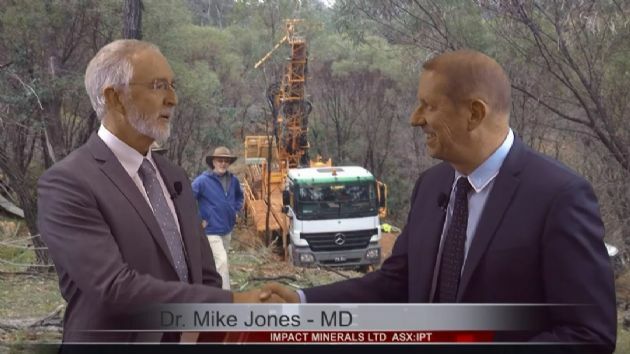 High grade assay results from the first six diamond drill holes completed at Impact Minerals Limited&apos;s (ASX:IPT)(OTCMKTS:IPPTF) 100% owned Commonwealth Project located 100 km north of Orange in New South Wales, have confirmed significant extensions to the mineralisation. 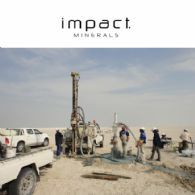 Impact Minerals Limited (ASX:IPT) (OTCMKTS:IPPTF) is pleased to announce that it has agreed to the outright purchase of Mining Lease ML2386 that covers about 500 metres of the gold-bearing unconformity at the Company&apos;s Blackridge conglomerate-hosted gold project located about 30 km north of Clermont in central Queensland. 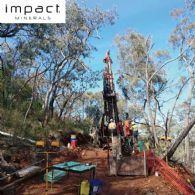 A reconnaissance aircore drill programme is underway at Impact Minerals Limited&apos;s (ASX:IPT) (OTCMKTS:IPPTF) Mulga Tank project located 200 km north east of Kalgoorlie in Western Australia. 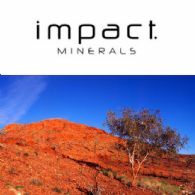 Impact Minerals Limited (ASX:IPT) (OTCMKTS:IPPTF) is pleased to announce that it has now completed the Share Sale Agreement for sale of the Company&apos;s Pilbara gold project to Pacton Gold Incorporated as announced to the ASX on May 29th 2018. 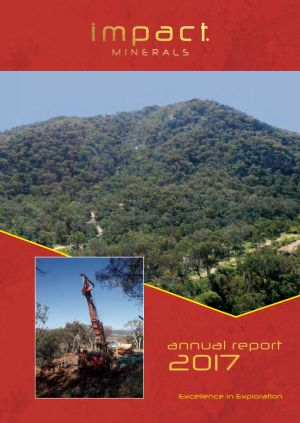 Varying widths of sulphide mineralisation have been intersected in all six diamond drill holes completed thus far in a follow up drill programme at the Main Shaft and Silica Hill Prospects within Impact Minerals Limited&apos;s (ASX:IPT) (OTCMKTS:IPPTF) 100% owned Commonwealth Project 100 km north of Orange in New South Wales. 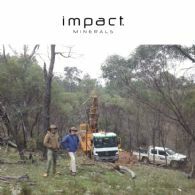 Impact Minerals Limited (ASX:IPT) (OTCMKTS:IPPTF) hereby provides further clarification and additional information on the details of rock chip samples and historic soil sample and drill results released in the announcement made to ASX on 18 July 2018. 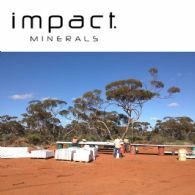 Impact Minerals Limited (ASX:IPT) (OTCMKTS:IPPTF) provides the Company&apos;s June 2018 Quarterly Report. 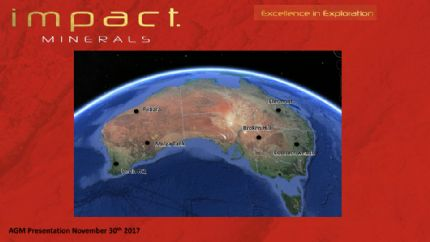 Impact Minerals Limited (ASX:IPT) (OTCMKTS:IPPTF) announces drill testing of five target areas identified in geophysical and geochemical data is underway at Impact Minerals Limited&apos;s 100% owned Clermont gold project located in the southern part of the Drummond Basin in Central Queensland. 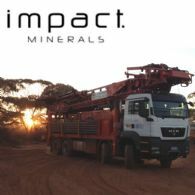 Impact Minerals Limited (ASX:IPT) is pleased to announce that it has signed a binding Letter of Intent to joint venture its Broken Hill project with TSX Venture exchange-listed BlueBird Battery Metals Incorporated (CVE:BATT).